Congratulations to DSQ Surveyor Keegan Becker who recently gained registration with the Queensland Surveyors Board as a Surveying Associate. Keegan has proved his competency to the Surveyors Board. 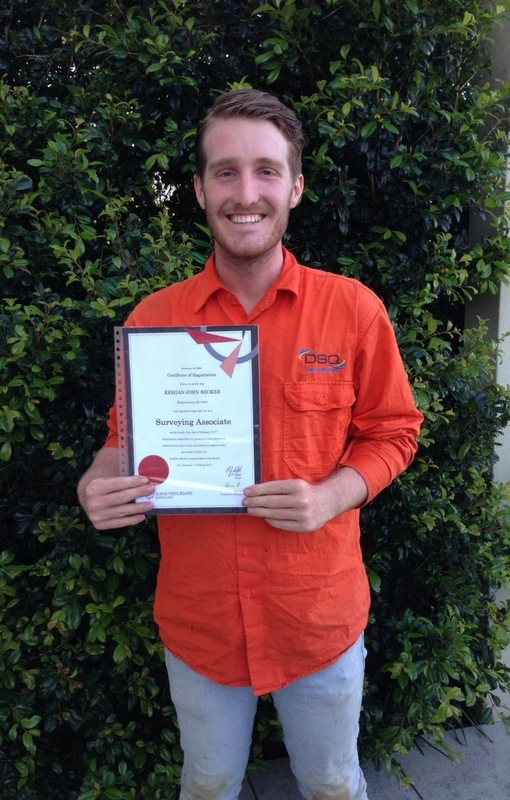 This achievement is well deserved for Keegan, who is a hard-working Surveyor in our Sunshine Coast office. Keegan is currently studying a Bachelor of Spatial Science (Honours) majoring in surveying at USQ via correspondence and hopes to complete his Degree by the end of 2018.